Hunger has become a growing challenge for more and more local families in these difficult economic times. The Barre Food Pantry is our community's response. The Food Bank is a way of easing the stress on those of our neighbors who are struggling to make ends meet because of a job loss or other financial setback. Our once-a-month distributions of grocery and other items are intended to bridge a gap for the more than 100 families who take advantage of our service. You can help with your donations of food, financial support and of your time to help collect donations for the monthly distribution and for other transportation. The food bank makes deliveries to shut-ins only. A shut-in is as someone whom can not physically can’t get out of their home. We are seeking volunteers who can help with deliveries. Contact David Petrovick, Food Pantry Director, for more information and to learn about the many ways in which you can support the Food Bank. 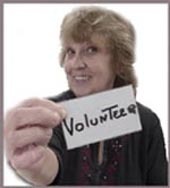 Our volunteers say that they get involved for a variety of reasons, notably it is fun! Many feel compelled to help an effort that reaches our sometimes unseen and struggling neighbors. Religious, moral and personal goals have been cited. In the last two years, we have made a big impact in our area to reduce hunger and to foster community cohesiveness with other civic, private and religious organizations. We appreciate any help you can give. Your donations are tax deductible. You can help our work in the community by Sponsoring a Food Drive, by making a donation of non-perishable food or of money or by giving of your time. 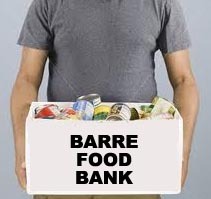 The Barre Food Pantry is located at the Barre Congregational Church on Park Street.